Grunge has been perceived as the music that defined ‘Generation X’. Twenty years after the height of the movement there is still considerable interest in its rise and fall, and its main figures such as Kurt Cobain and Courtney Love. As a form of ‘retro’ music it is even experiencing a resurgence, and Cobain remains an icon to many young music fans today. But what was grunge, and what has it become? 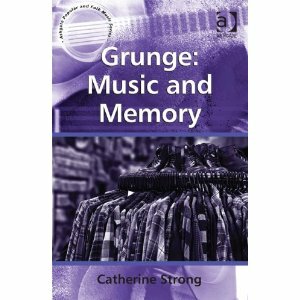 This book explores how grunge has been remembered by the fans that grew up with it, and asks how memory is both formed by and forms popular culture. It looks at the relationship between media, memory and music fans and demonstrates how different groups can use and shape memory as part of an ongoing struggle for power in society. Grunge was the site of such a struggle, as popular music so often is, with the young people of the time asking questions about their place in the world and the way society is organized. This book examines what these questions were, and what has happened to them over time. It shows that although grunge challenged many social structures, the way it, and youth itself, are remembered often work to reinforce the status quo. In this interview Dr. Robert van Krieken discusses how he was drawn to sociology, in part, because of its interdisciplinary possibilities and how he continues to work to expand the links between sociology and other fields of scholarship. He also talks about his current research and forthcoming book on Celebrity Society. Thank you to all those members who joined us at the annual meeting of the Cultural Sociology thematic group at the TASA conference in Newcastle on Thursday, Dec 1st. One idea for a theme that received much enthusiasm was to put together papers on the past, present and future for cultural sociology in Australia. We would love to hear feedback and to get as many of our members as possible involved, including our postgrad students. An editing workshop for members to discuss work in progress and to network in order to find others to publish with. We noted that members were keen that any event that we host should have the outcome of opportunities for publishing. We are very keen to realise these plans. We will keep you posted regarding calls for papers, details about locations where we might host these events, etc. If you have any other ideas you would like us to consider, please share them with us! we set up an email prompt for members when new blog posts are up. we set up a Twitter account to keep in touch with our members. we set up a separate section on the blog for people to share work in progress. We will be looking into all of these ideas in order to make this blog the best it can be for our members. Please keep ideas and suggestions coming! There were some issues raised regarding the review and presentation process at TASA conferences. Members voiced that they were frustrated about not being able to present in the Cultural Sociology stream at recent TASA conferences despite indicating it as a preference. Further on this issue, the problem of field of research codes was raised. Members urged that it needed to be made clearer for others what Cultural Sociology is to avoid having papers in our presentation stream that clearly do not belong there. We are aware of these issues and will address them, both within the group as well as with future conference organisers in order to ensure that all members can be accommodated. Are there any other issues you would like to raise? Please let us know! This is just an overview of some of the things we discussed at the meeting. As mentioned above, please let us know if there is anything else you would like us to consider. We will be in touch shortly regarding further plans for 2012, the actions we are taking to address the issues that were raised and their outcomes.